Cataracts are a common eye condition that cause the natural lens of the eye to become clouded. The result is distorted and blurred vision that impairs the ability to complete daily tasks, like driving and reading. Although cataracts are not a direct hazard to one’s health, they do restrict the quality of life. Many patients turn to an ophthalmologist to undergo cataract surgery, which can bring back visual clarity and restore self-sufficiency. 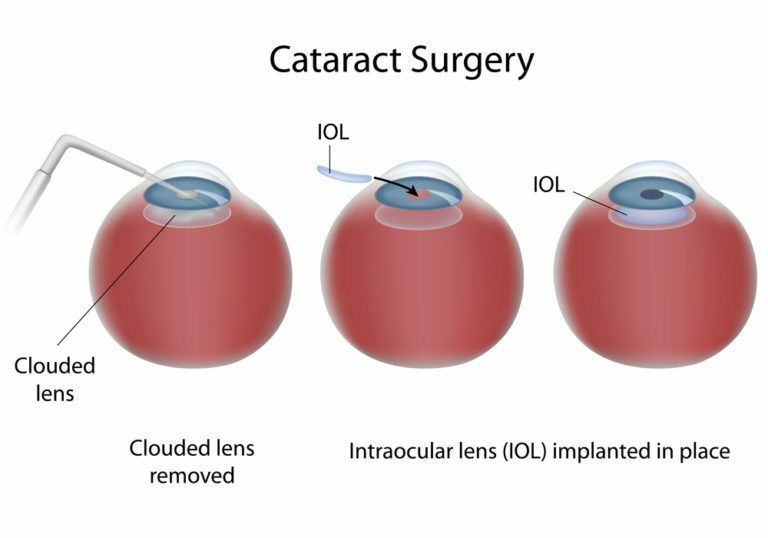 Cataract surgery works by removing the old, clouded lens of the eye and replacing it with an artificial one. These lenses are composed of clear silicone or acrylic and are placed into the eye during an outpatient procedure. Some patients opt for simultaneous vision correction using special lenses with customized optical powers. cataracts can affect anyone at any age? Age-related cataracts are by far the most common form of the condition, but even children can develop, or be born with cataracts. Fortunately, cataract surgery has an extremely high success rate and is considered one of the safest medical procedures. In fact, cataract surgery is successful in an estimated 98 percent of all cases. You may be a candidate for cataract surgery if you have cataracts that are blurring your vision or making it difficult to drive at night. Waiting to have cataract surgery does not cause harm to your eye, but it can allow cataracts to grow bigger and further distort your vision. Talk to your ophthalmologist about scheduling a consultation to find out if cataract surgery is right for you. What should I expect during a cataract surgery? If you have cataract surgery, you can expect to be awake for the procedure. However, sedation may be offered for your comfort. Your eye will be numbed, and your ophthalmologist will gently remove and replace its natural lens. The procedure itself usually takes just minutes to perform, though preparation and immediate recovery usually require an hour from start to finish. Keep in mind that if you have cataracts in both eyes, your ophthalmologist will likely operate on them in separate surgeries. Will I need to follow any special post-procedural care instructions? Most patients recover from cataract surgery with little or no complications. You’ll wear an eye shield for several hours after surgery, as well as during sleep for the first few days following the procedure. It will take some time for your vision to adjust to the new intraocular lens, so do not be concerned if you are unable to see with perfect acuity immediately after your surgery.